A cross-universal science-fiction story by Richard Lobinske that finds versions of Michael Fulton, John Lane, and Tim O'Neal recruited by Richard, a "hypersphere supervisor" of an interdimensional agency, to pursue an alien using an Architects Gate, a dimensional wormhole like the one behind the Good Time Chinese Restaurant to jump between different realities to kill Daria. The alien is attempting to prevent the events Daria starts that leads to the alien species' final extinction. The conflict spans numerous alternate universes, some of which are linked to fanfics by other authors. Part of the story's action takes place as a prequel to Lobinske's Mother's Love saga, with which this story is further linked. This story first introduced the character of Richard and and the inter-dimensional organization, "The Agency". Among the alternate Darias encountered is one that never left Highland or attended college, and worked at an all-night diner to put Quinn through college. 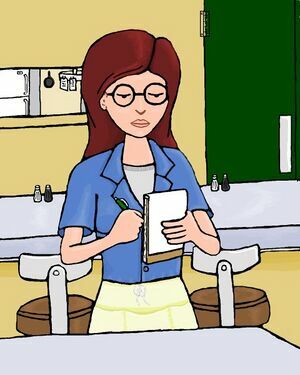 Another alternate Daria is an "Evil Daria" that was clearly less inhibited and did not possess the same scruples as the baseline character. This page was last edited on 12 July 2013, at 17:05.